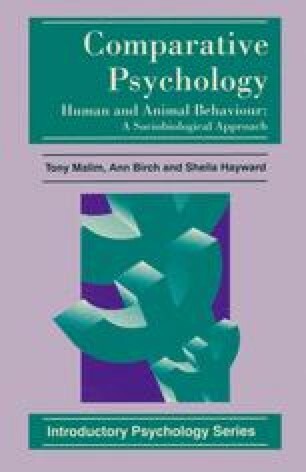 Provide some reasons why psychologists should be interested in studying animals. Describe what is meant by continuity and discontinuity as regards the relationship between animals and humans. Identify the main features of Darwin’s theory of evolution and say how this relates to continuity. Outline the main features of the process of genetic transmission. Show what is meant by the sociobiological perspective as it relates to comparative psychology and identify some of the objections raised to it. Outline the main features of gene-culture co-evolution of the human species. Show some understanding of methods used in the study of animal behaviour. Show an appreciation of the importance of the observance of ethical standards in the study of animal behaviour.